This article describes how to protect the SQL Server back end of an application using a combination of SQL Server business continuity and disaster recovery (BCDR) technologies, and Azure Site Recovery. Before you start, make sure you understand SQL Server disaster recovery capabilities, including failover clustering, Always On availability groups, database mirroring, and log shipping. Standalone SQL Server: SQL Server and all databases are hosted on a single machine (physical or a virtual). When virtualized, host clustering is used for local high availability. Guest-level high availability isn't implemented. SQL Server Failover Clustering Instances (Always On FCI): Two or more nodes running SQL Server instanced with shared disks are configured in a Windows Failover cluster. If a node is down, the cluster can fail SQL Server over to another instance. This setup is typically used to implement high availability at a primary site. This deployment doesn't protect against failure or outage in the shared storage layer. A shared disk can be implemented using iSCSI, fiber channel or shared vhdx. SQL Always On Availability Groups: Two or more nodes are set up in a shared nothing cluster, with SQL Server databases configured in an availability group, with synchronous replication and automatic failover. SQL Always On Availability Groups, to provide for disaster recovery for SQL Server 2012 or 2014 Enterprise editions. SQL database mirroring in high safety mode, for SQL Server Standard edition (any version), or for SQL Server 2008 R2. Site Recovery can protect SQL Server as summarized in the table. Site Recovery can be integrated with native SQL Server BCDR technologies summarized in the table, to provide a disaster recovery solution. Always On availability group Multiple standalone instances of SQL Server each run in a failover cluster that has multiple nodes. Databases can be grouped into failover groups that can be copied (mirrored) on SQL Server instances so that no shared storage is needed. Failover clustering (Always On FCI) SQL Server leverages Windows failover clustering for high availability of on-premises SQL Server workloads. Nodes running instances of SQL Server with shared disks are configured in a failover cluster. If an instance is down the cluster fails over to different one. This table summarizes our recommendations for integrating SQL Server BCDR technologies with Site Recovery. An on-premises SQL Server deployment, running a supported SQL Server version. Typically, you also need Active Directory for your SQL server. The requirements for the scenario you want to deploy. Learn more about support requirements for replication to Azure and on-premises, and deployment prerequisites. Set up Active Directory, in the secondary recovery site, for SQL Server to run properly. Small enterprise—With a small number of applications, and single domain controller for the on-premises site, if you want to fail over the entire site, we recommend you use Site Recovery replication to replicate the domain controller to the secondary datacenter, or to Azure. Medium to large enterprise—If you have a large number of applications, an Active Directory forest, and you want to fail over by application or workload, we recommend you set up an additional domain controller in the secondary datacenter, or in Azure. If you're using Always On availability groups to recover to a remote site, we recommend you set up another additional domain controller on the secondary site or in Azure, to use for the recovered SQL Server instance. The instructions in this article presume that a domain controller is available in the secondary location. Read more about protecting Active Directory with Site Recovery. Import scripts into your Azure Automation account. This contains the scripts to failover SQL Availability Group in a Resource Manager virtual machine and a Classic virtual machine. Add ASR-SQL-FailoverAG as a pre action of the first group of the recovery plan. Follow the instructions available in the script to create an automation variable to provide the name of the availability groups. Set up Azure Backup on the virtual machine that hosts the availability group replica in Azure. Before triggering test failover of the recovery plan, recover the virtual machine from the backup taken in the previous step. Force a quorum in the virtual machine restored from backup. Update IP of the listener to an IP available in the test failover network. 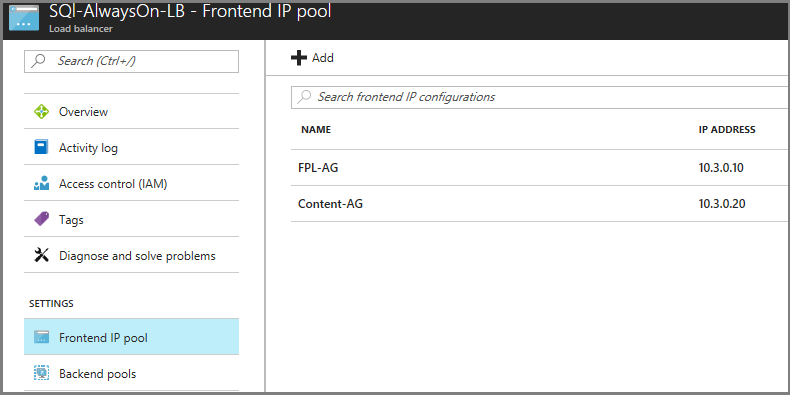 Create a load balancer with one IP created under frontend IP pool corresponding to each availability group listener and with the SQL virtual machine added in the backend pool. Do a test failover of the recovery plan. Once you have added the script in the recovery plan and validated the recovery plan by doing a test failover, you can do failover of the recovery plan. If the SQL Server is using availability groups for high availability (or an FCI), we recommend using availability groups on the recovery site as well. Note that this applies to apps that don't use distributed transactions. 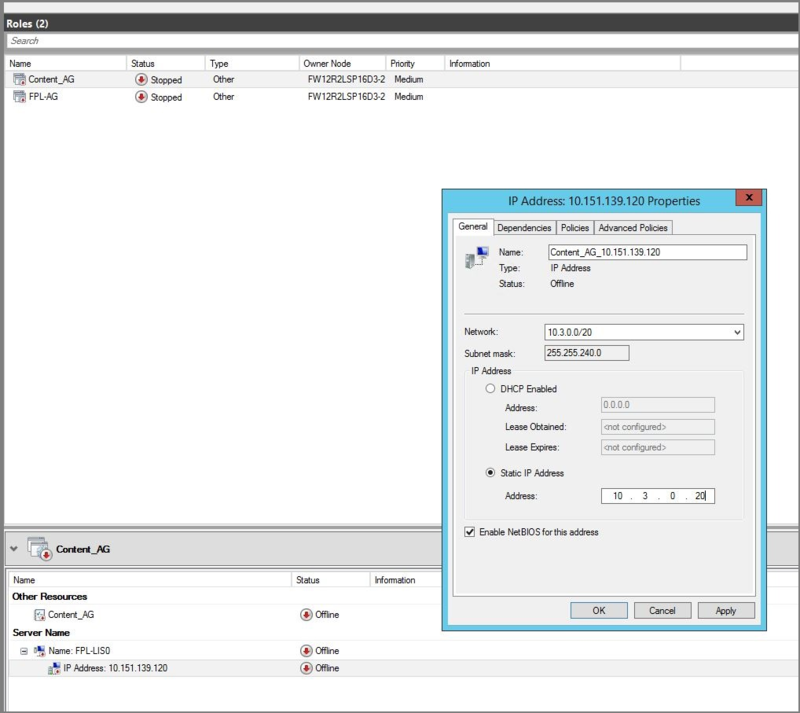 Configure databases into availability groups. Create a virtual network on the secondary site. Set up a site-to-site VPN connection between the virtual network, and the primary site. Create a virtual machine on the recovery site, and install SQL Server on it. Extend the existing Always On availability groups to the new SQL Server VM. Configure this SQL Server instance as an asynchronous replica copy. Create an availability group listener, or update the existing listener to include the asynchronous replica virtual machine. Make sure that the application farm is set up using the listener. If it's setup up using the database server name, update it to use the listener, so you don't need to reconfigure it after the failover. For applications that use distributed transactions, we recommend you deploy Site Recovery with VMware/physical server site-to-site replication. Add this sample script to the VMM library, on the primary and secondary sites. When you create a recovery plan for the application, add a pre action to Group-1 scripted step, that invokes the script to fail over availability groups. In this scenario, we recommend that you use Site Recovery replication to protect the SQL Server machine. The exact steps will depend whether SQL Server is a VM or a physical server, and whether you want to replicate to Azure or a secondary on-premises site. Learn about Site Recovery scenarios. For a cluster running SQL Server Standard edition, or SQL Server 2008 R2, we recommend you use Site Recovery replication to protect SQL Server. If the app uses distributed transactions we recommend you deploy Site Recovery with SAN replication for a Hyper-V environment, or VMware/physical server to VMware for a VMware environment. For non-DTC applications, use the above approach to recover the cluster as a standalone server, by leveraging a local high safety DB mirror. Site Recovery doesn't provide guest cluster support when replicating to Azure. SQL Server also doesn't provide a low-cost disaster recovery solution for Standard edition. In this scenario, we recommend you protect the on-premises SQL Server cluster to a standalone SQL Server, and recover it in Azure. Configure an additional standalone SQL Server instance on the on-premises site. Configure the instance to serve as a mirror for the databases you want to protect. Configure mirroring in high safety mode. 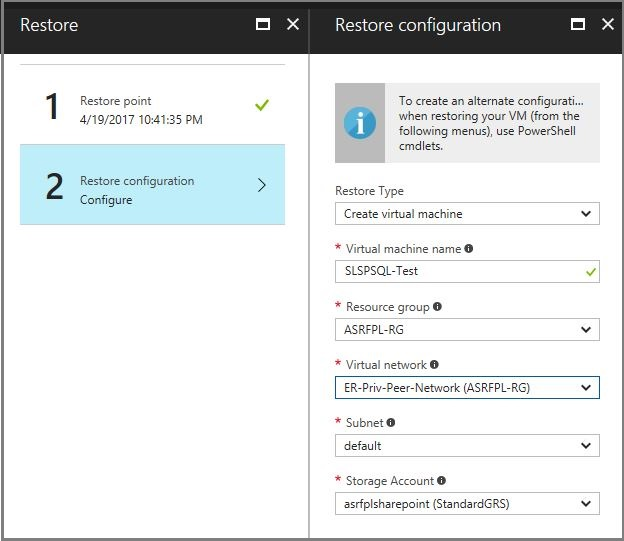 Configure Site Recovery on the on-premises site, for (Hyper-V or VMware VMs/physical servers). 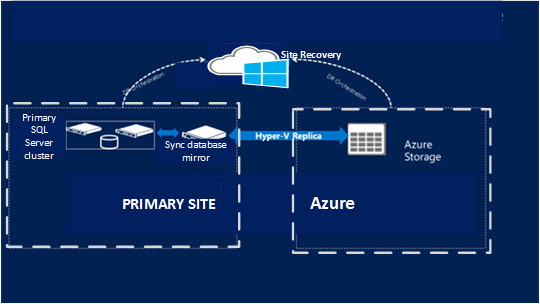 Use Site Recovery replication to replicate the new SQL Server instance to Azure. Since it's a high safety mirror copy, it will be synchronized with the primary cluster, but it will be replicated to Azure using Site Recovery replication. For SQL Server Standard clusters, failback after an unplanned failover requires a SQL server backup and restore, from the mirror instance to the original cluster, with reestablishment of the mirror. Learn more about Site Recovery architecture.